Never discount unique and fresh online content! Competing on price in content sales is dumb. Just imagine if Hollywood studios started to offer gradually lower prices on their new movies trying to outdo their rivals on price. One can expect a bit of a price drop on old titles, but those reductions are carefully controlled. In contrast, current prevalent marketing approach of many major online education content providers is based on extreme discounting of their courses regardless of the lifecycle stage of those courses. Companies that engage in this practice are confusing consumers, destroying their brands and killing customer loyalty. This apocalyptic scenario is well pronounced for B2B2C (business-to-business-to-consumer) companies whose direct and most important customers are course authors. Will anyone ever buy at full price? – Nope. 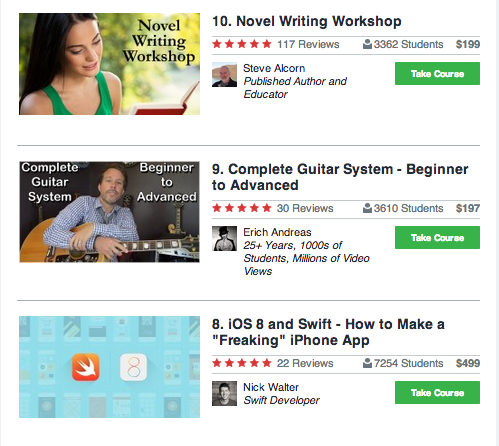 And one cannot imagine the frustration of becoming a course author for Udemy – whatever price the course author may think their course is worth, Udemy will always undercut the author via one of these “campaigns”. It seems that these companies are not aware that they are selling content. They behave like clothing retailers who need to liquidate out-of-season fashions to bring in the next season’s collection. Except, retailers know all too well what exactly their respective brands stand for: convenience, value-for-money, status statement, luxury, etc. Online education content providers do not know the exact value or positioning of their brand. In clothing retail, the seasonal approach to inventory management is sound and explicable, although most high-value brands will never run steep discounts – or any discounts – in stores even at the risk of having unsold inventory between seasons. For instance, it is unheard of for Luis Vuitton bag at a 50% discount – unheard of! These companies liquidate unsold inventory in special “premium outlets” – stores usually situated at a great distance from key retail locations. Some companies sometimes run special and carefully controlled online sales. These measures allow the vendors to isolate the effect of discounted products on their core business and to keep and enhance the value of their brands. 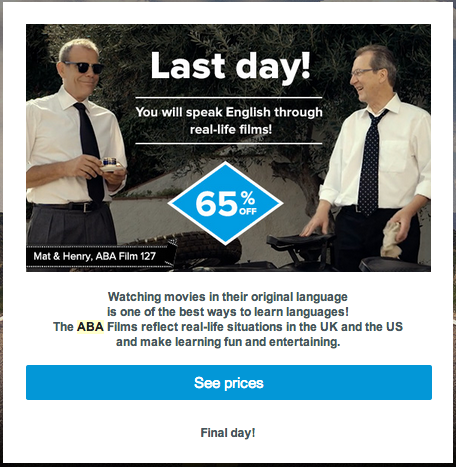 To understand why discounting content is an absolute disaster and a great danger for the content provider’s brands, look at Hollywood’s war on pirating. The same is true for software giants’ fight on illegal software copying. Media industries understand very clearly that they produce unique products that can and do provide long recurring cash flows to their owners. Education marketplaces that regularly wreck their foundations with extreme discounts need to reconsider their pricing strategies. Carefully tracking the lifecycle of a course is an important thing to do. 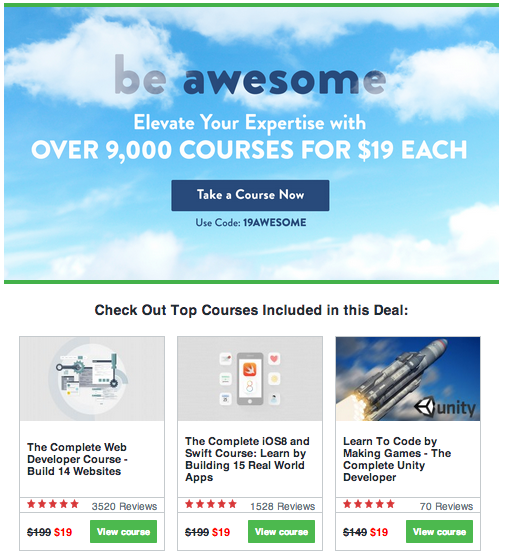 When the course is new and you have something unique to sell it is incredibly dumb to run discounts. 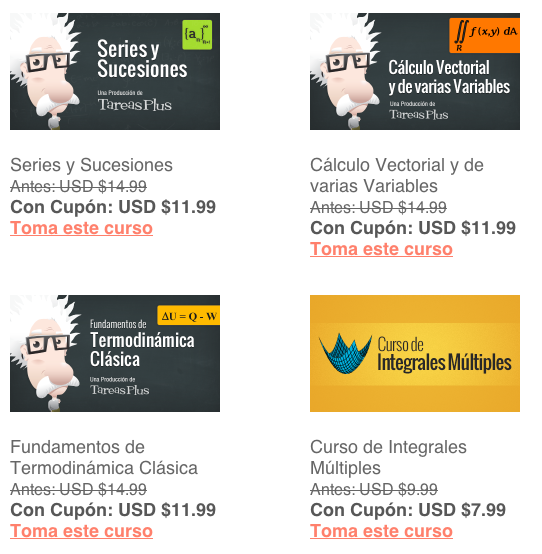 This entry was posted in courses, pricing, teaching online and tagged online learning, online teaching, pricing by Denis Zaff. Bookmark the permalink.